Yes, time for new boots again. This time I went back to trying Atomics. The Redster Pro 130s are 98mm which is good. I tried a pair of the older Atomic STI 130, which are 93mm and they are unusable for me, even after extensive alterations... The Redster Pros are fine. Be careful, as there also is a Redster WC model, which is 95mm underfoot - a little narrower fit for a more instant response. I got the 150 in that model and it's real nice too. They are good. I especially like the way the 3D liner squeezes and keeps the heel down - although, the heel can still move a little up/down. I will have to find a way to lock the heel from moving so much up/down - perhaps some foam/tape at the back of the liner, just above the heel - this did the job nicely for my Head boots. Size wise, the 25.5 is 295mm long, which is great since my Head boots are 293 so I can use the same skis and switch between boots back and forth. The great thing about this boot is the strap: it has a dual adjustment of how much to squeeze the liner and how tight to be over the plastic. That is actually really good: you can easily adjust the performance of the boot and the feel to the flex on the fly - you can see it in the photo above, the strap has two separate sections in the front: one over the liner and one over the plastic shell. I put the upper cuff to maximum out (the cheap man's canting device) and they are largely ok, although I think I will need more adjustment on the left boot. They have a funky new "power adjustment" which rotates the upper cuff slightly to the left/right - I have yet to play with that. They are quite harder than the Atomic RT CS 110 but quite softer than the Head RS 130. The flex is good for an every day boot. You can easily take them off-piste and in moguls. They are quite soft compared to my other boots, the Head 130 RS. 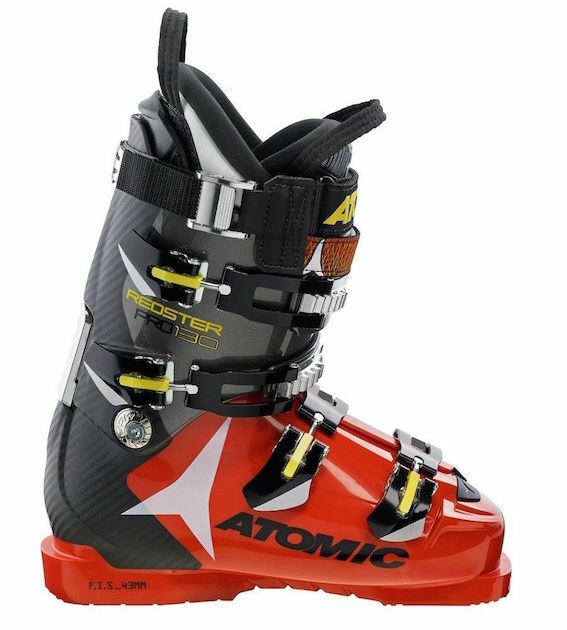 I got accustomed to Atomic boots being quite soft. I think this will be my go to boot for every day skiing and while travelling, glades and everything. They seem to fit my foot a little better than the Head RS, leaving more leverage for inversion and ankle movement, which makes for faster edge switching. Viewed 1193 times ( | Print ) this page.